On The MSNBC Show "Your Business"
We Now Exist In A Turbulent, Uncertain, And Risky Business And Economic Environment. Mistakes Are Less Forgiving And Fortunes Can And Will Turn On A Dime. An Entrepreneur Cannot Totally Insulate From These Threats, But Can Posture To Better Deflect And/Or Minimize Their Effects. One Of The Biggest Threats: Comfort And The Unwillingness To Accept Change. In Other Words, Turning A Blind Eye. Sometimes Outside Events Require "Picking Up The Snake Off The Beach" In Order To Survive. It Takes Courage To Act Nowadays. Let Jim Silvester's 25 Years Of Professional Coaching And Consulting Experience Benefit You And Your Business. Whether A Start-Up, Home-Based, Small Or Large Business, It Does not Matter. What Matters The Most Is Navigating Your Business Through The Troubled Waters Of Today's Economic And Business Climate. That Is No Small Task. James L. Silvester is president of Dominion Business Systems, Inc. and Business Experts, Inc., management and financial consulting firms. 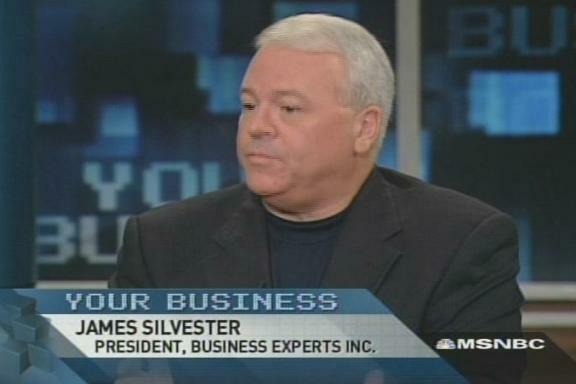 Previously, Mr. Silvester was president of Business Advisory Systems, Inc., a consulting firm specializing in the development of managerial software systems and consulting services directed to entrepreneurial markets. He also served as vice president of two mortgage companies. Mr. Silvester held a full time position on the faculty of the Harry F. Byrd School of Business located on the campus of Shenandoah University where he instructed courses in entrepreneurship and was active as an independent management consultant to small and medium sized firms. He holds four earned university degrees from accredited institutions including the PhD and maintains a membership in the National Honor Society in Business Administration (Delta Mu Delta) and the National Education Society (Phi Delta Kappa). Mr. Silvester has written two best selling books, HOW TO START, FINANCE, AND OPERATE YOUR OWN BUSINESS and SECRETS OF SUCCESS IN YOUR OWN BUSINESS, with forewords contributed by United States Senator Paul S. Trible. The books, published by Carol Communications of New York City, have been critically acclaimed by the LADIES HOME JOURNAL, ENTREPRENEUR MAGAZINE, BOSTON HERALD, and the RICHMOND TIMES DISPATCH. The works have also been mentioned in FORBES MAGAZINE and VENTURE MAGAZINE as well as other media throughout the western hemisphere. Over 500,000 books have sold. His third book, entitled, 401 QUESTIONS EVERY ENTREPRENEUR SHOULD ASK, published by Career Press of Franklin Lakes, New Jersey has a foreword contributed by Virginia Governor Tim Kaine. Career Press also published his fourth book entitled, 151 QUICK IDEAS FOR START-UP ENTREPRENEURS. In all his books have sold over 500,000 copies globally and translated into five languages. Mr. Silvester is also a popular seminar speaker. The Senate of the State of Maryland passed a resolution honoring his economic development contribution to Western Maryland. 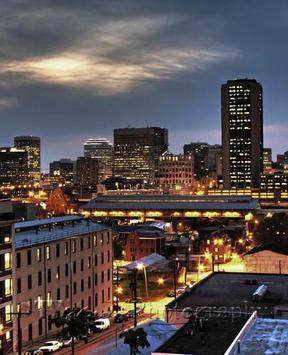 Lyle Stuart, Inc., New Your City. Foreword Contributed By United States Senator Paul S. Trible Jr.